» What Good is Patriotism? The scene is framed, the shutter is depressed, and the image of lovely Canadian children waving the old Maple Leaf is captured, a timeless statement of tribal affection and loyalty. For many, this photograph will likely stir positive, even emotional feelings for Canada, its history, and what our country seems to represent among the family of nations. But on this Canada Day, it is worth stepping back and taking a picture of the picture and ask ourselves, What good is patriotism? Recently I’ve been asking myself that question, as well as reading what philosophers and social scientists have to say. What I have learned is that the concept of patriotism, like other emotions and attitudes, has no clear definition but, rather, sprawls across a wide continuum. At one end, it embodies a healthy pride in a community’s achievements and implies a commitment to work for the good of that community, as was evidenced during the recent floods in many parts of the country. At some point, though, patriotism morphs into an aggressive nationalism that seeks to build up the homeland by cutting down one’s neighbours. At its best, patriotism brings people together while allowing for honesty and dissent. At it worst, it breeds conceit, arrogance, and intolerance. Is there a form of patriotism capable of making us stronger as a country without debasing our moral standing? 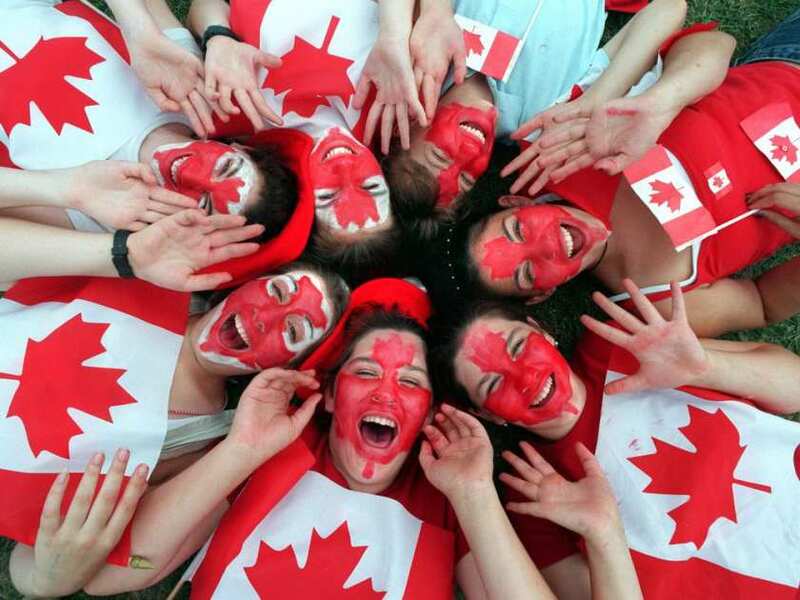 Psychologist Mark Sandilands studied the dynamics of patriotism during the 1970s—when economic and cultural nationalism were on the rise in Canada. To illustrate the positive power of patriotism, he points to the individual who has strong self-esteem. “Positive self-esteem leads to a healthier and more creative person,” he says. “He doesn’t allow bullies to push him around, but he also accepts other people.” Pride I one’s country, in its broadly shared values and history, and in its vision for what the country can be for others—these are all ingredients in high self-esteem and strong mental health. It is a patriotism with soul. And the measure of such patriotism is better made by observing how people respond to national or regional crisis, for example, than by counting how many medals are won in the Olympics. Taking another look at the photograph, we can only hope that the flag-waving children enjoying Canada Day festivities will display such quiet confidence in their country when their own time comes to hold the camera. A version of this piece was published in the June/July 1998 issue of Equinox magazine. the latest research on communications, organizational learning, and change management. When you think about it, all three topics are part of one theme: how to push forward to a desired future. If you like what you read, share it with your social network. Alan Morantz is an award-winning creative professional with more than 35 years of editorial and communications experience. © 2017 Alan Morantz. All Rights Reserved.